Note: This article is the second part of a two-part series on LGBT+ representation on campus. This week’s segment covers what changes students would like to see and who they think is responsible for bringing the changes about. Last week’s article (available online) focused on issues students have with how queerness is currently represented. Dissatisfied with how the College currently deals with queer issues, many students call for changes to LGBT+ representation, more social events and dedicated administrators and counselors. Most students agree that representation of the College’s LGBT+ population should change, but there is disagreement as to how. Some hope for a wider variety of groups, while others wish Spectrum — the College’s only current LGBT+ student group — was larger. Other students also wish for more groups, but have certain reservations. Christa Craven, chair of the women’s, gender and sexuality studies program as well as Spectrum’s former faculty adviser, holds that separate LGBT+ groups might be less able to advocate for policy changes and campus initiatives than a single, united group. Although Spectrum is the only Wooster student group explicitly focused on LGBT+ issues, some students prefer how other groups, especially the Planned Parenthood-affiliated sexual rights group VOX, deal with the topic. Regardless of the number or nature of queer groups, many students expressed an interest in more LGBT+ social events. There is also a seeming consensus among students regarding the need for an administrator dedicated to LGBT+ issues. “I honestly feel like … the single most important addition to this campus would be someone in [the] administration who can get funding, who can set up queer-only spaces, who can just be there in a more stable way than the clubs can be,” said Baker. It’s not just students who feel this way. Similarly, several students called for trained LGBT+ counselors. Other than the Longbrake Wellness Center’s three unspecialized and incredibly busy counselors, Wooster has no professional alternative to Spectrum’s informal LGBT+ support group. Specifically, Ananda Menon ’14 would like to see the recently defunct Sexuality Support Network — a professionally supervised student counseling group — revived. Even when students can agree on what needs revising, the unity breaks down when it comes to deciding who is responsible for bringing the change about. 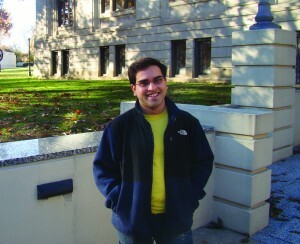 Some believe that Spectrum is at fault for not representing the width and breadth of Wooster’s queer community. Not surprisingly, Spectrum members disagree.